Pertama kali ke Bangkok bersama keluarga. 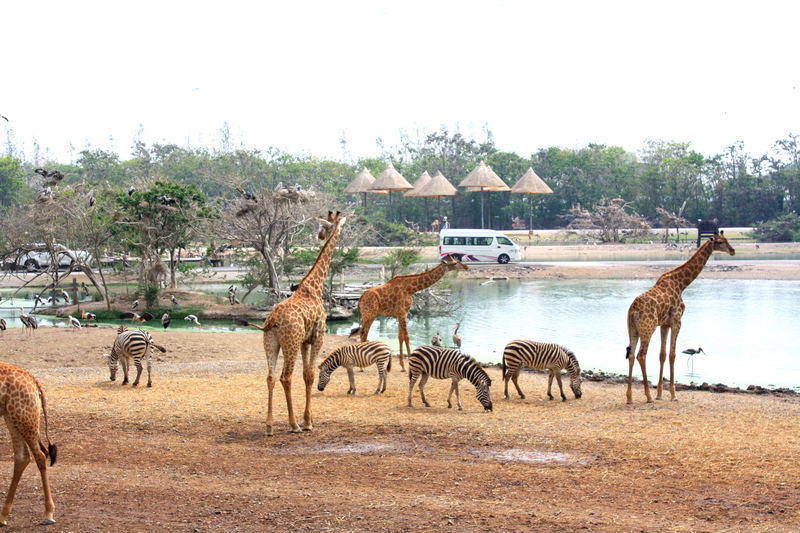 Direkomendasikan kolega karena Safari World bagus untuk anak-anak. 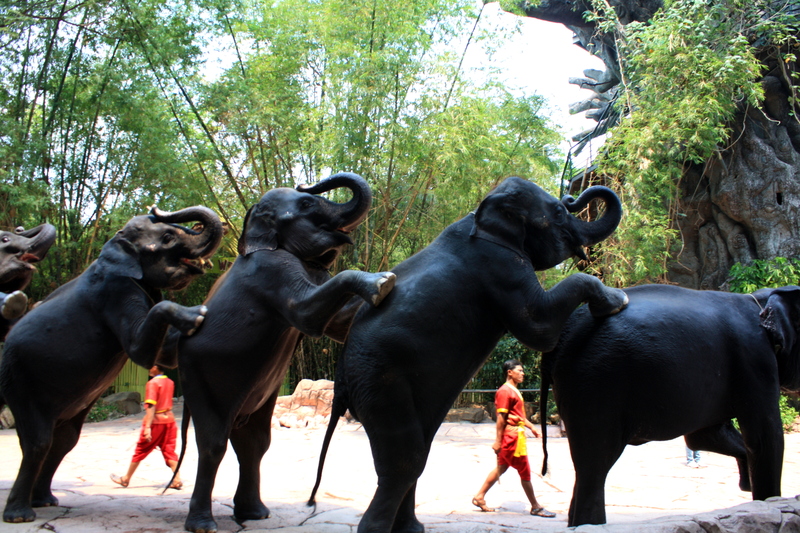 A top thing to do in Bangkok!, safari world Thailand. 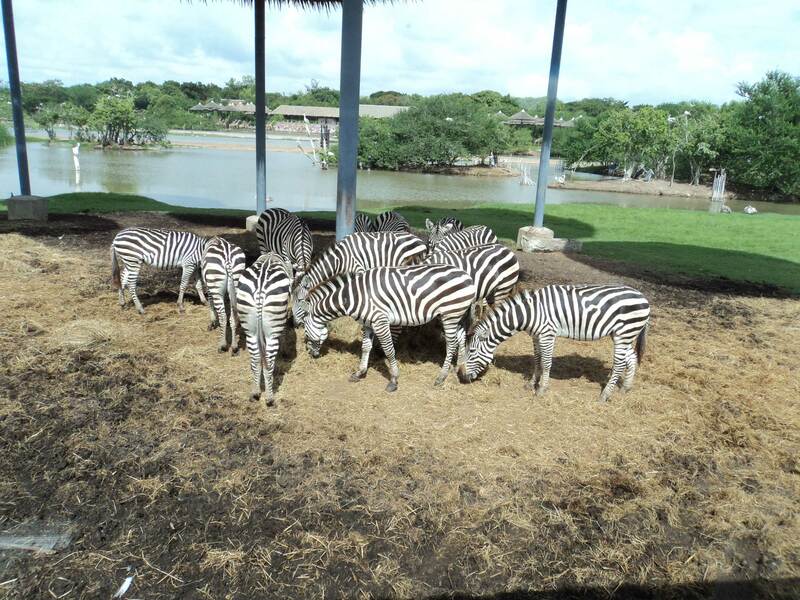 Explore the world of exotic safari animals. 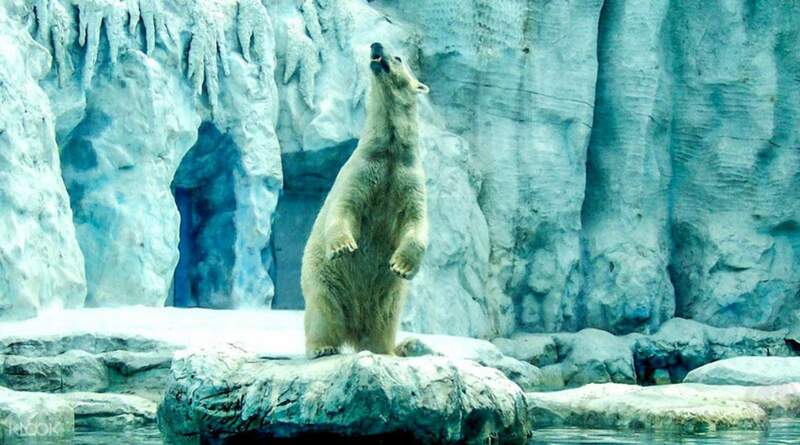 Seeing polar bears at Safari World Marine Park. 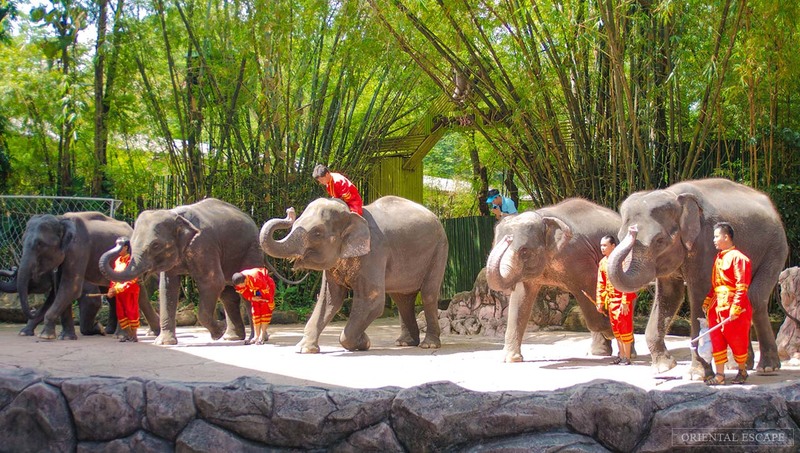 See the life of wild animals in this Bangkok Safari Park. Watch the White Tiger show every day. Get your ticket online and enjoy the most interesting safari world Bangkok ticket price 2018. Please note: This e-ticket is only available for non-Thai Nationals. 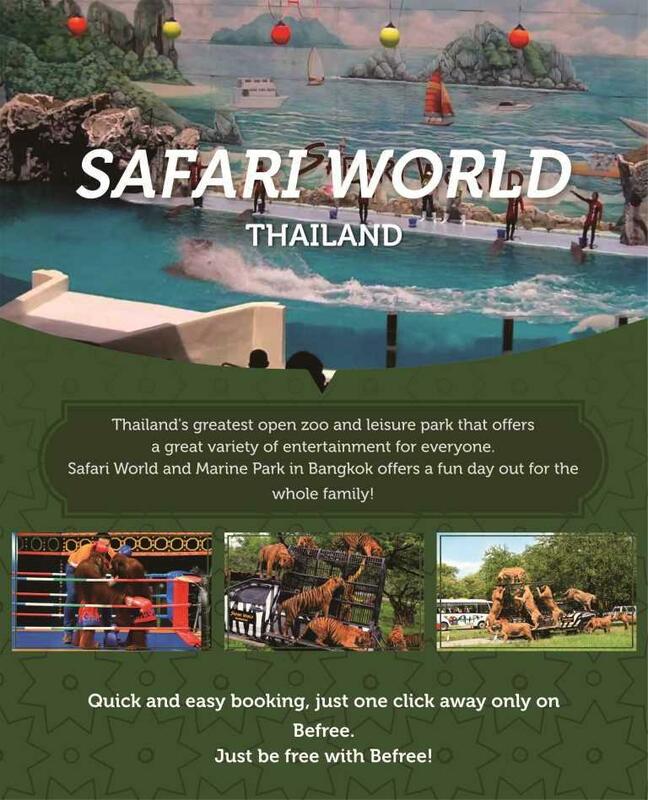 Thai Nationals must purchase their entrance tickets from the Safari World ticket counter directly. Please note: Child ticket is only available for children 100 cm-140 cm (must be between 2-12 years old). 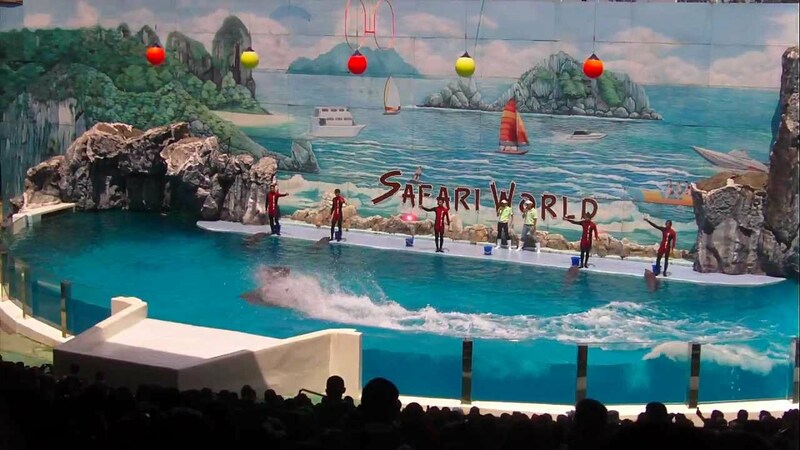 Please note: Due to ongoing renovations of the Dolphin Stadium, the Dolphin Show at Safari World will be temporarily unavailable from 4 September to 3 November 2017. Free entrance for children below 100 cm. Child ticket is only applicable for children 100-140 cm (must be between 2-12 years old). These tickets are only available to non-Thai nationals. It takes approximately 1 hour to get from downtown Bangkok to the attraction. Park Opening Hours: Daily 9:00 am-5:00 pm. Lunch Buffet Restaurant Opening Hours: Daily 11:00 am-2:00 pm. 11:00 am sea lion show. 11:40 am elephant show or cowboy stunt (can choose your preferred show). Address : 99 Panyaintra Road (Soi Ramindra 109), Samwatawantok, Bangkok 10510, Thailand. By taxi: Take a taxi from Bangkok (approximately 1 hour from the central city). By public transportation: Take a BTS to Mo Chit Station (or N8 Station) on the Sukhumvit Line. Take Exit No. 1 or 3 then board bus no. 26 or 96 and get off at Fashion Island Shopping Mall. 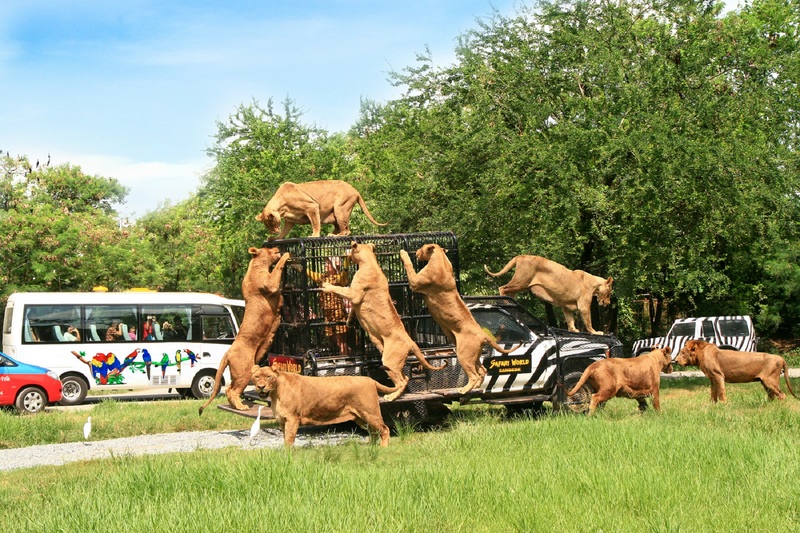 Take the overpass to the other side; there is a minibus will take you to Safari World. 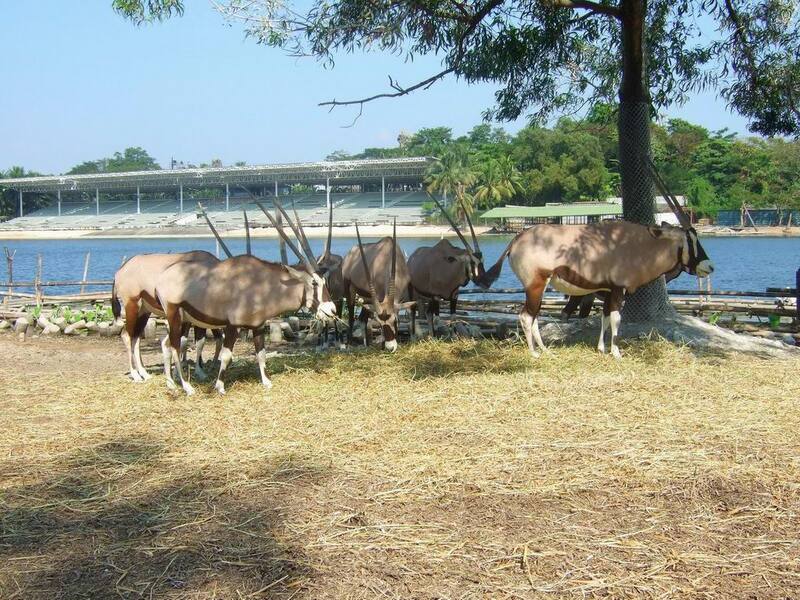 Visit one of the most interesting attractions in Bangkok, safari world. It is a world full of animals fun and attraction. 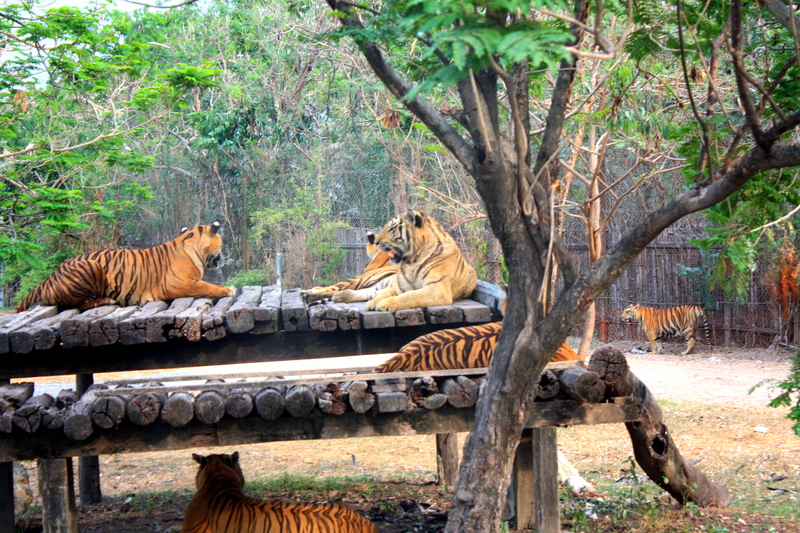 Get a close interaction with lion, giraffe and many other animals. Enjoy the colorful birds in the bird show. You can also feel the experience of feeding animals in Feeding show. Don't forget to use your access to Marine Park. Use the traditional boat and explore the river. Then, the most interesting one is the white tiger show. you can enjoy it every day. 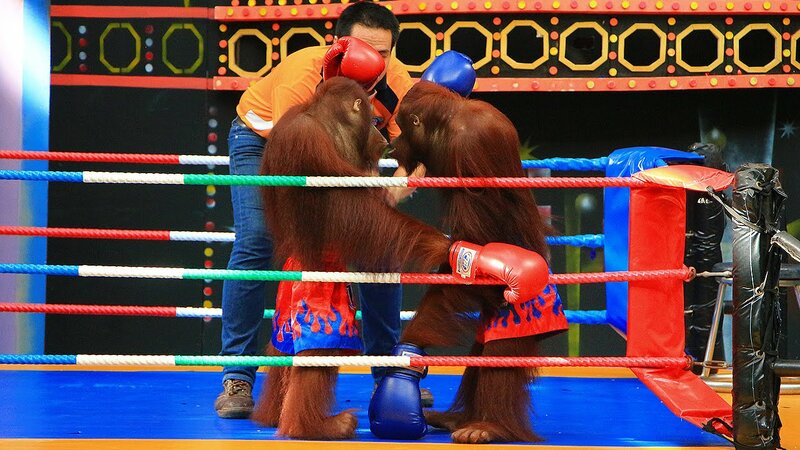 besides the animal shows, there is also a western show that will entertain your visit to Safari World. The Cowboy Stunt Show brings a very liar and amazing show which will amaze you. 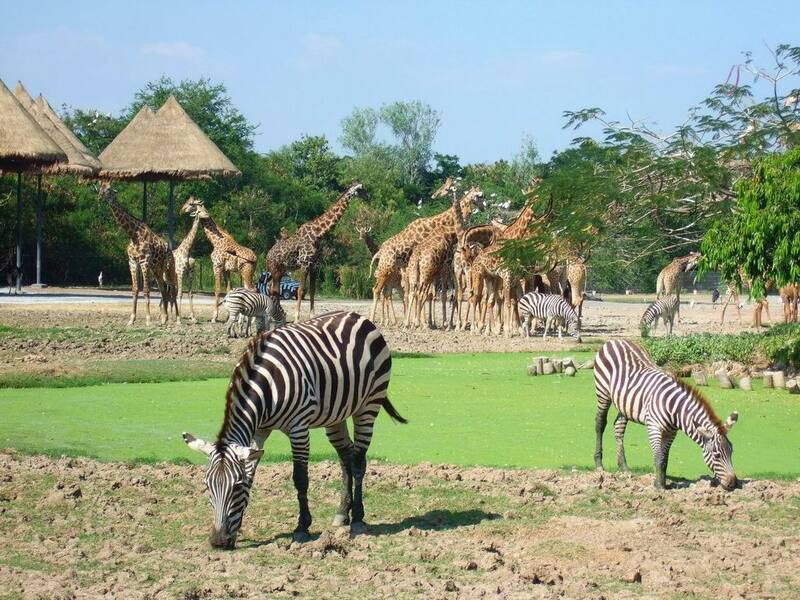 you can enjoy this awesome safari world Bangkok tour with your family, friends, and even your love. 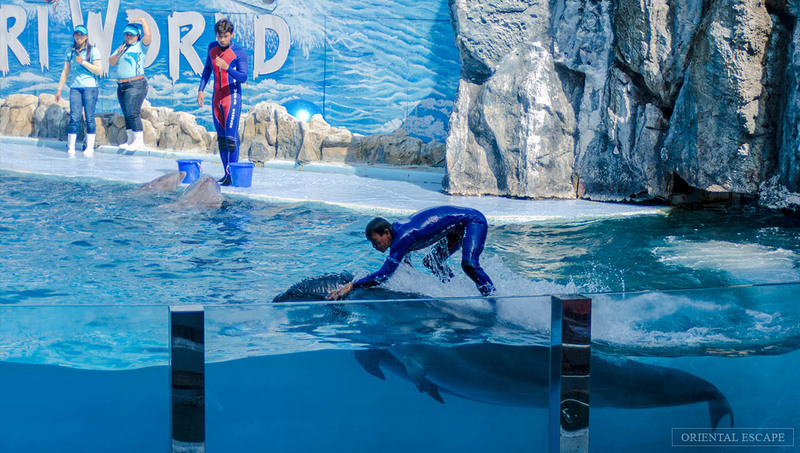 in addition, you should try the other animal attraction in Bangkok, come and visit SEA LIFE Bangkok ocean world to see the underwater life. It was a really fun time. My daughter was very happy. We got good price for the tickets in befreetour. very recomended!